Whether 6 or 16, rec-league, travel clubs, or in between, Pennsbury Softball offers programs and team experiences for all ages and skill sets. Known for fastpitch softball since 1976, Pennsbury has catered to this growing women’s sport by holding to a commitment to superior instruction, continued player development, and opportunities to learn from coaches at the highest levels. Beyond our first class facilities exists a philosophy that the lessons taught through this team sport can manifest into future leaders in our community. Our connection to the Pennsbury Athletic Association underscores our history of instruction for beginners and development at all ages. The Babe Ruth organization heritage offers national structure and a path for the casual softball athlete while providing pathways to tournament play at districts, states, regionals, and beyond. Our long association with the Pennsbury Gems brand furthers the commitment to excellence at the highest levels of the sport. Long known as a center for developing sought after players for collegiate teams, Pennsbury exemplifies passion for softball coupled with a deep appreciation for academic achievement of its top athletes – all prominent attributes for the young women leaders of tomorrow developed on and off the field. So, again, from 8U to 18U enjoy these pages as we present Pennsbury Softball. The Pennsbury Gems were started by Arthur and Craig Coleman. Art passed away in 2001 and was the director of the Pennsbury Invitational Tournament for 21 years. Craig is the Coach at Robert Morris College. The travel team was founded in 1976 and has been known as the Gems since 1981. 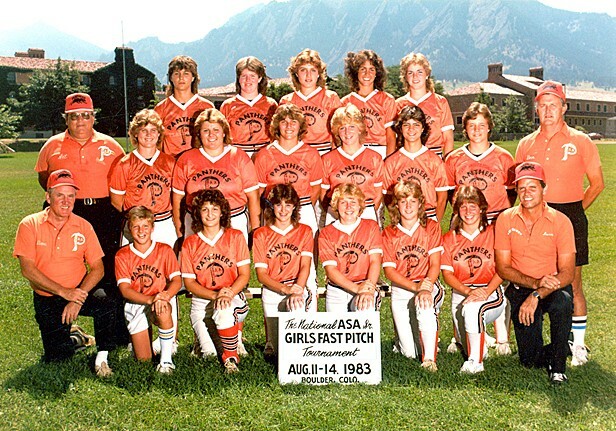 They entered the Pennsylvania ASA State Tournament in 1976, finishing third. The Gems were State Champions and regional champions in 1978 and in 1983 they finished 4th in the nation. The Pennsbury Invitational Tournament was an idea conceived by Art Coleman that began with just 8 teams in 1980. Art Coleman, who was the Pennsbury Gems coach at the time, continued to develop and work the tournament over 21 years helping to grow the number of teams participating as the Pennsbury organization grew and as the number of new fields became available. Prior to Art’s untimely passing away in October of 2001 the tournament had grown to 64 teams and in addition had the NFCA holding its administered recruiting camp the day before. Today over one hundred elite 18U teams will compete and showcase their talents over a three day event on over twenty fields. For more information visit www.pennsburyinvitational.com. PAA offers the following programs for girls 5-18 years of age and for a range of skill levels. PAA serves families throughout Lower Makefield Township, PA; Yardley Borough, PA; Morrisville Borough, PA and portions of Falls Township, PA that lie west and north of Route 1. In addition, if a child attends a school that is within the defined boundaries of The PAA but lives outside of the boundary, they are now eligible to play here. *I live outside of the boundaries but my son attends Charles Boehm Middle School - I am now able to play for The PAA"
Yes, you are now eligible for The PAA and will remain so once you complete a season in the league.